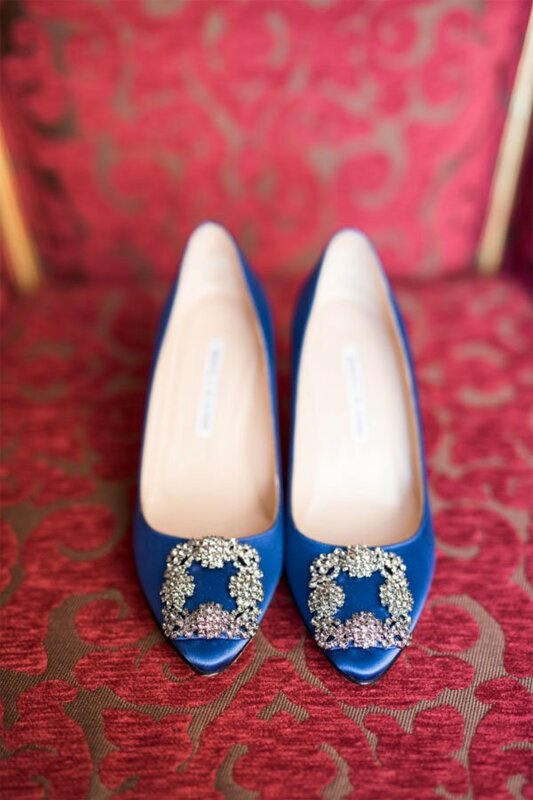 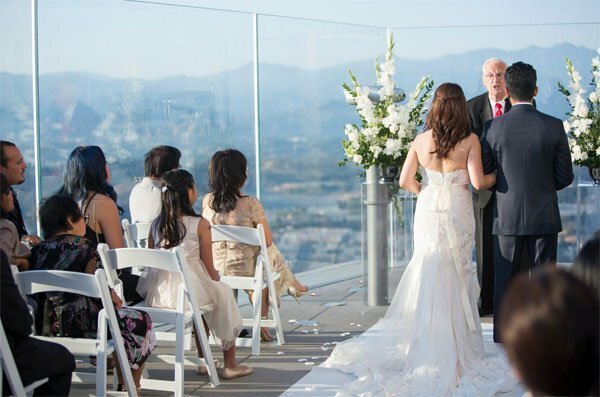 It’s not everyday we see a wedding like this…we just had to share! 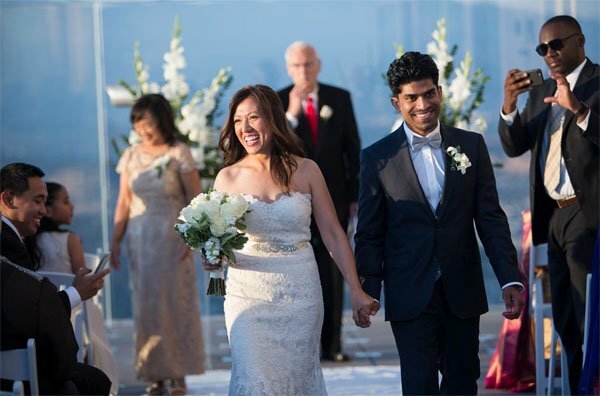 Raj and Leevan (who both work in the medical field) first met 2011, but 6 years of hectic work schedules and residencies kept them apart. 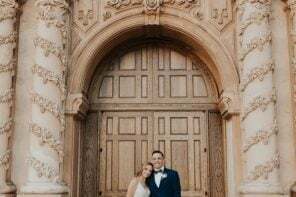 Once they reconnected back where they first met in Loma Linda, they were ready to take the plunge…literally! 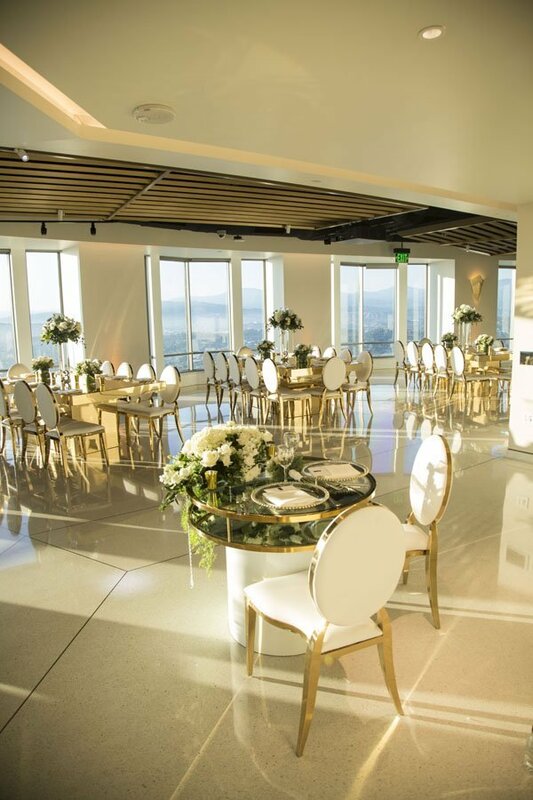 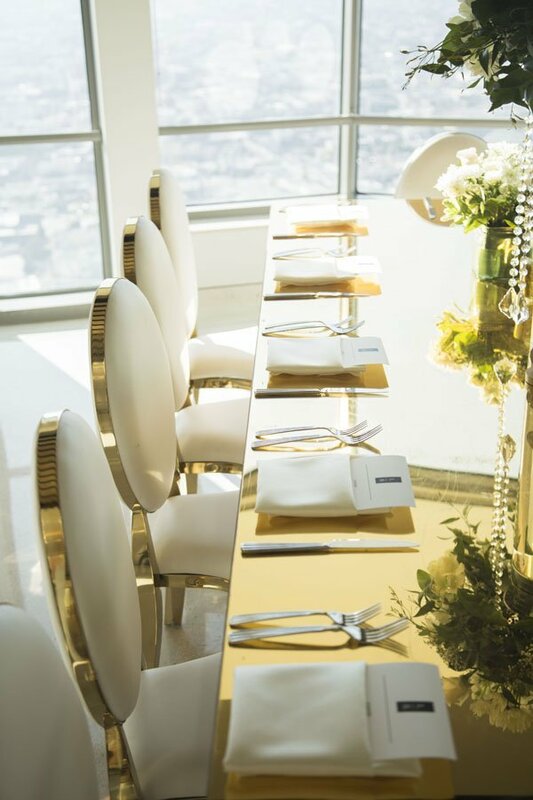 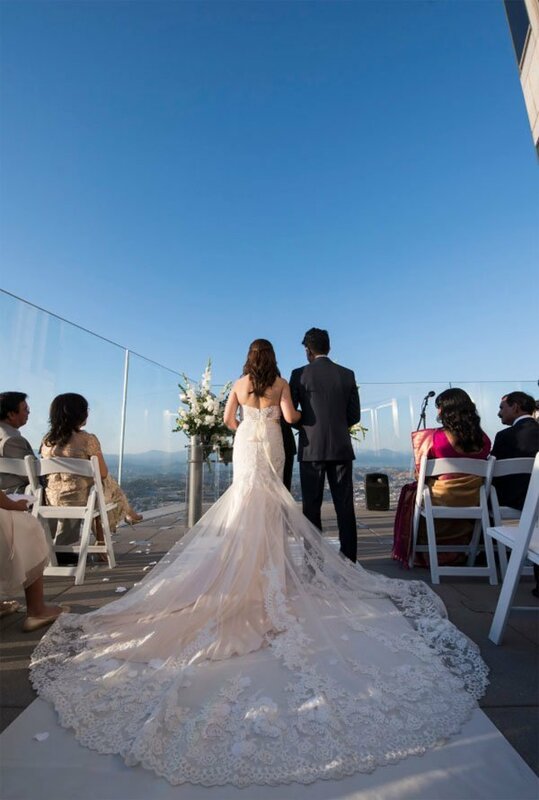 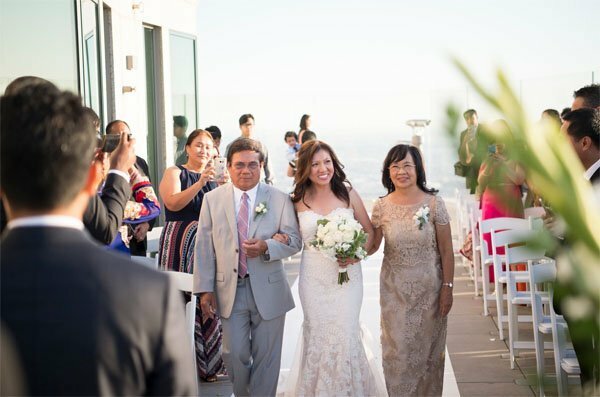 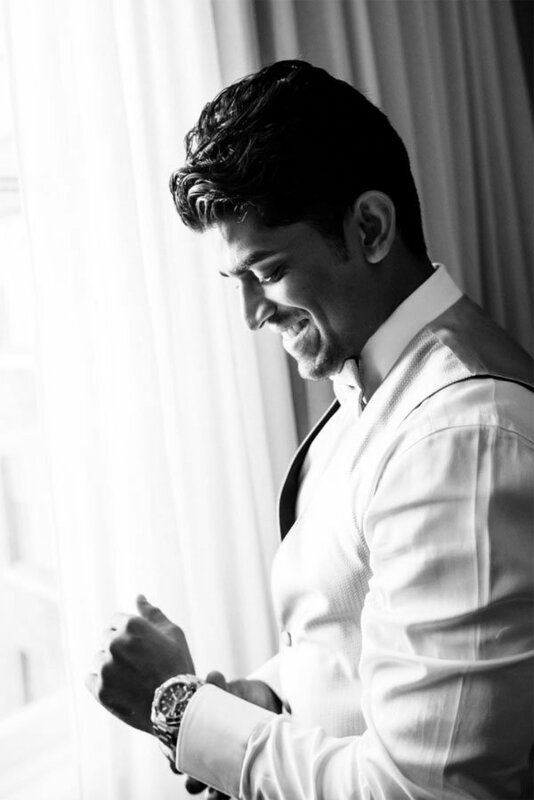 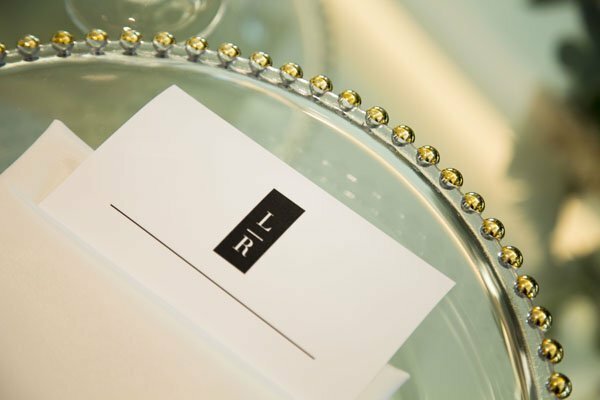 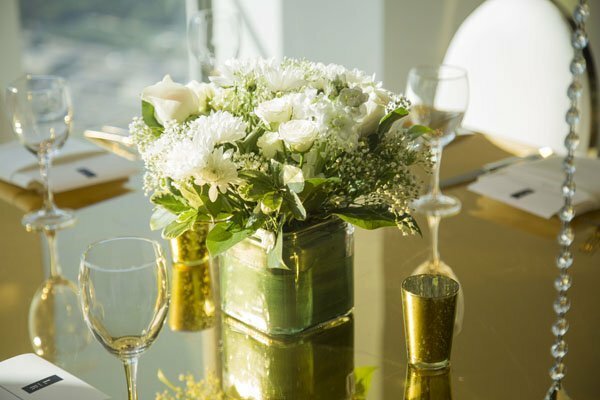 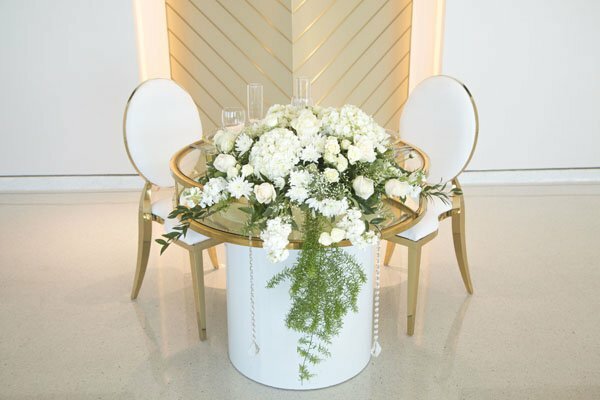 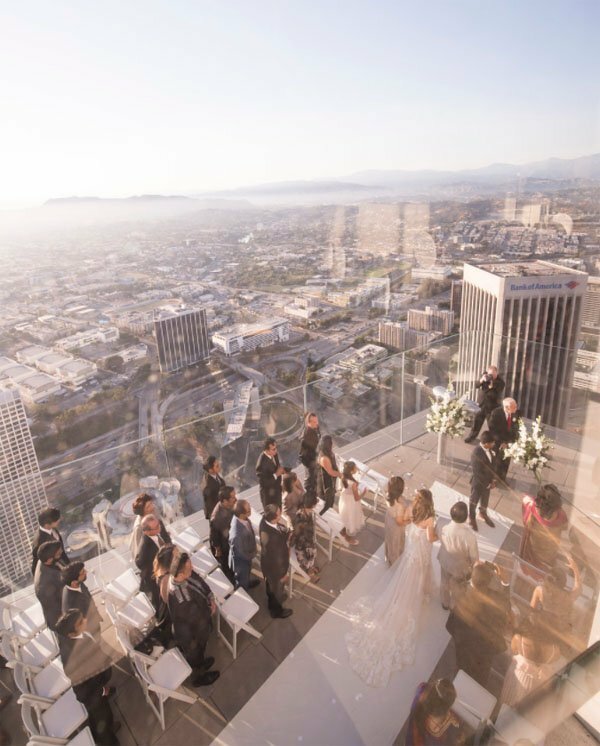 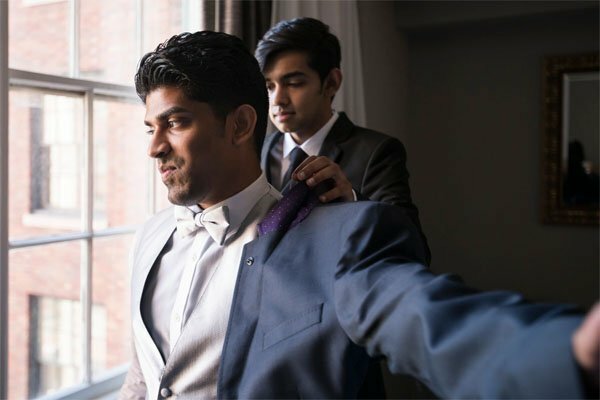 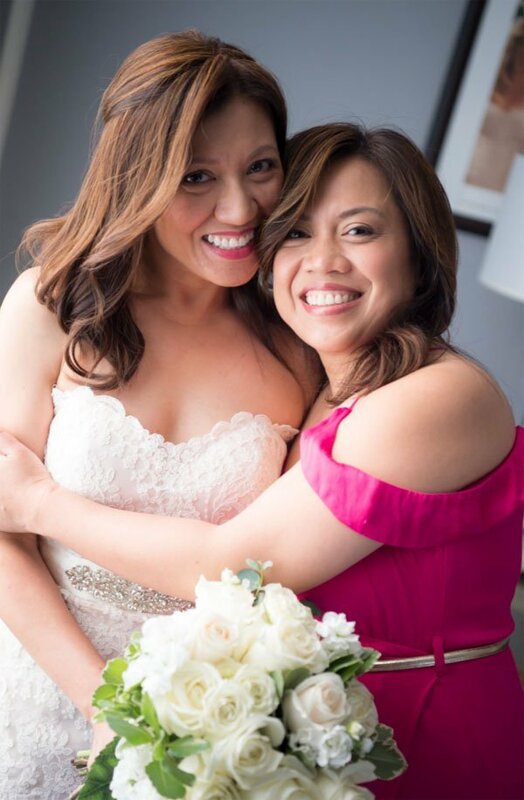 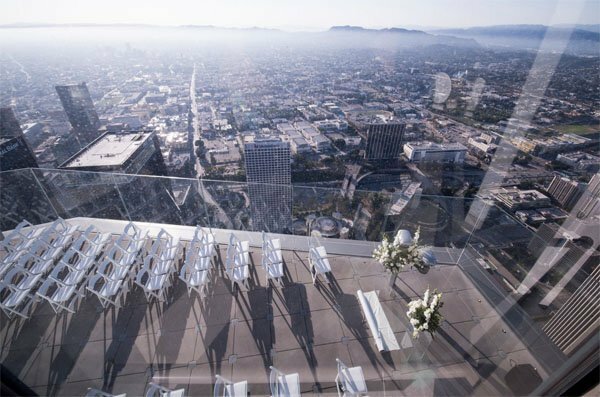 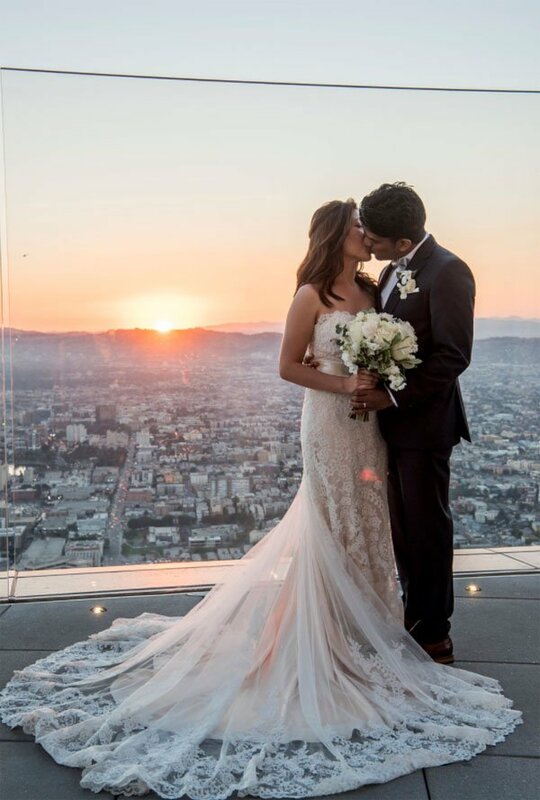 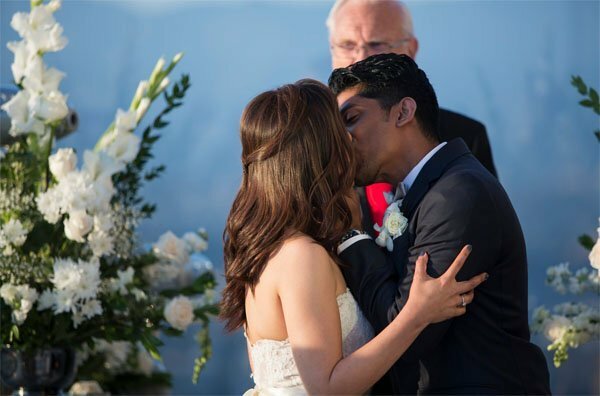 Held at the new OUE Skyspace LA (which features the highest observation deck west of the Mississippi and is home to the famous Skyslide) Raj and Leevan’s wedding was actually the FIRST held at the gorgeous venue…and it was planned in just under 4 weeks! 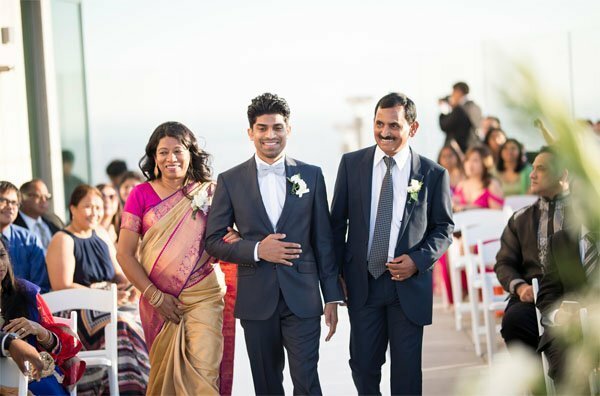 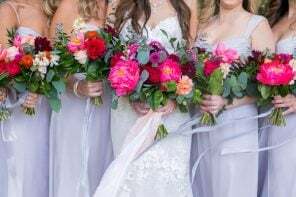 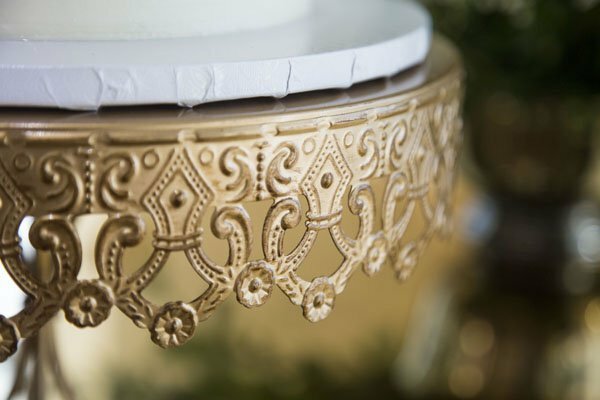 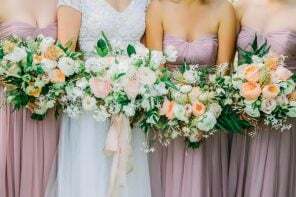 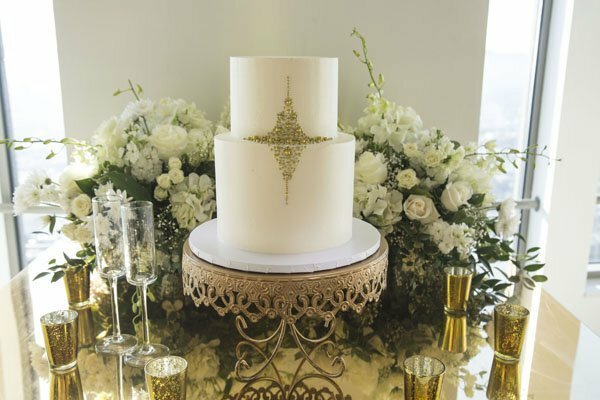 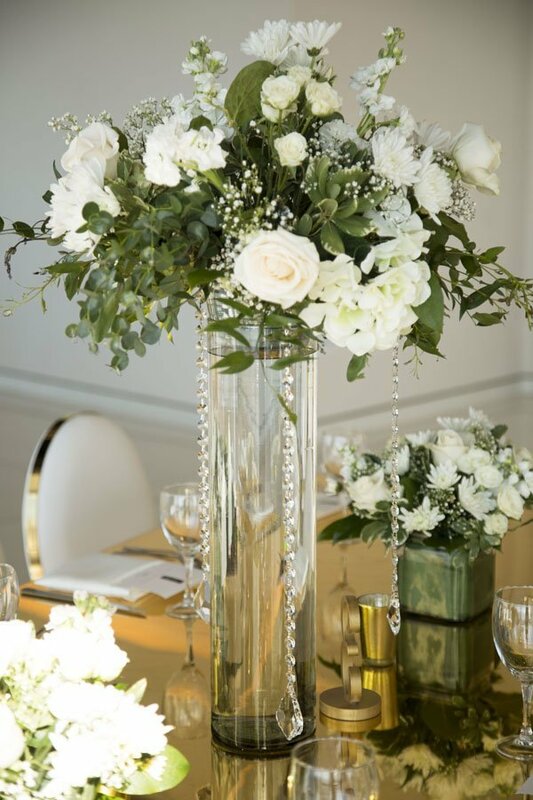 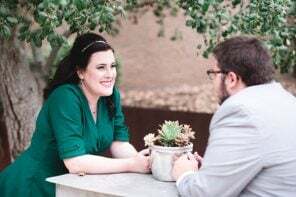 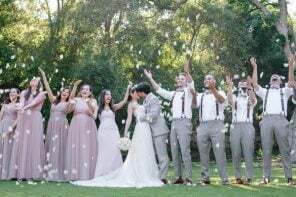 With the help of the talented event planners and florists at Aquafuzion, the couple wanted an elegant and intimate wedding that would allow their families to get to know one another. 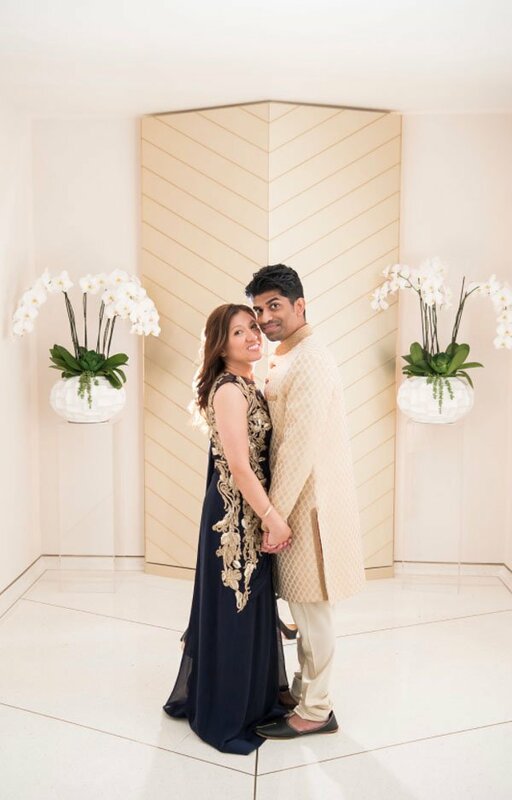 They also wanted a setting where their unique backgrounds and cultures (Leevan is from the Philippines and Raj is from India) could be highlighted, including a garland ceremony and change to traditional Indian attire. 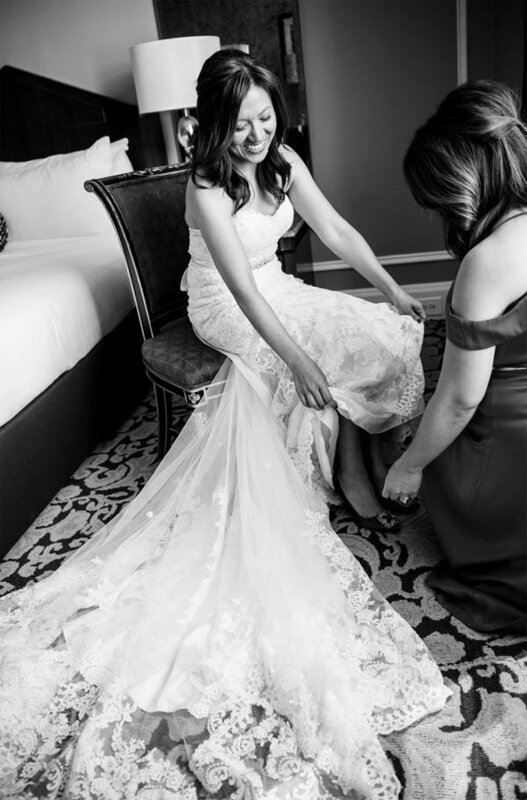 Leevan found her dream wedding dress at BHLDN, and was able to get it delivered in one week and get it tailored just in time for the wedding. 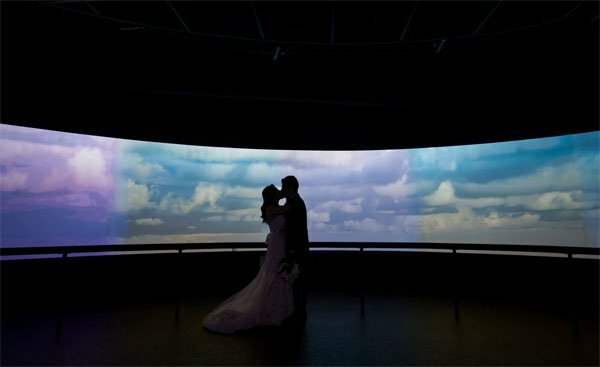 Captured by Mike Purdy of MOOD Photo and Video, check out the gorgeous pics below!